Did you know that early career exploration is more than exposing students to career options? According to the Association for Career and Technical Education it adds purpose to learning, it supports self-awareness during critical formation years, and it capitalizes on developing abilities to think abstractly, solve problems, and work in teams. Experts have even discovered it to be a very effective drop-out prevention strategy. 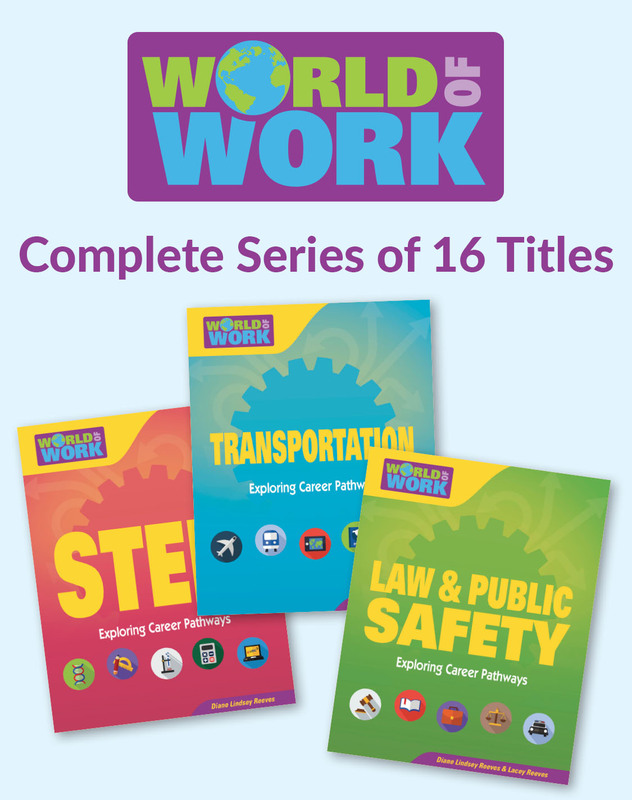 Our World of Work series introduces readers to nationally recognized career pathways using age-appropriate language, high-energy graphics, and 21st century skill-building activities. This series of books keeps the momentum going from a one-day event to the beginning of career education by providing student-friendly tools to encourage on-going exploration. PARENTS: Find out what type of careers your child is interested in and buy one or two titles to get started. EDUCATORS: Use the complete series to enhance career exploratory classes and enrich your media centers’ career exploration collection. EMPLOYERS: Choose the title that most closely aligns with your workplace opportunities and extend the “Take Your Daughters and Sons to Work Day” experience by giving copies to each student who participates in your event. Architecture & Construction in the World of Work series provides an age-appropriate and interactive introduction to the nationally recognized Architecture and Construction career pathway using informal self-assessment elements, career profiles, informative sidebar features, and back matter activities. Business in the World of Work series provides an age-appropriate and interactive introduction to the nationally recognized Business Management & Administration career pathway using informal self-assessment elements, career profiles, informative sidebar features, and back matter activities. Finance in the World of Work series provides an age-appropriate and interactive introduction to the nationally recognized Finance career pathway using informal self-assessment elements, career profiles, informative sidebar features, and back matter activities. Human Services in the World of Work series provides an age-appropriate and interactive introduction to the nationally recognized Human Services career pathway using informal self-assessment elements, career profiles, informative sidebar features, and back matter activities. Information Technology in the World of Work series provides an age-appropriate and interactive introduction to the nationally recognized Information Technology career pathway using informal self-assessment elements, career profiles, informative sidebar features, and back matter activities. Law & Public Safety in the World of Work series provides an age-appropriate and interactive introduction to the nationally recognized Law, Public Safety, Corrections, and Security career pathway using informal self-assessment elements, career profiles, informative sidebar features, and back matter activities. Manufacturing in the World of Work series provides an age-appropriate and interactive introduction to the nationally recognized Manufacturing career pathway using informal self-assessment elements, career profiles, informative sidebar features, and back matter activities. Marketing, Sales & Service in the World of Work series provides an age-appropriate and interactive introduction to the nationally recognized Marketing career pathway using informal self-assessment elements, career profiles, informative sidebar features, and back matter activities. STEM in the World of Work series provides an age-appropriate and interactive introduction to the nationally recognized Science, Technology, Engineering, and Mathematics career pathway using informal self-assessment elements, career profiles, informative sidebar features, and back matter activities. 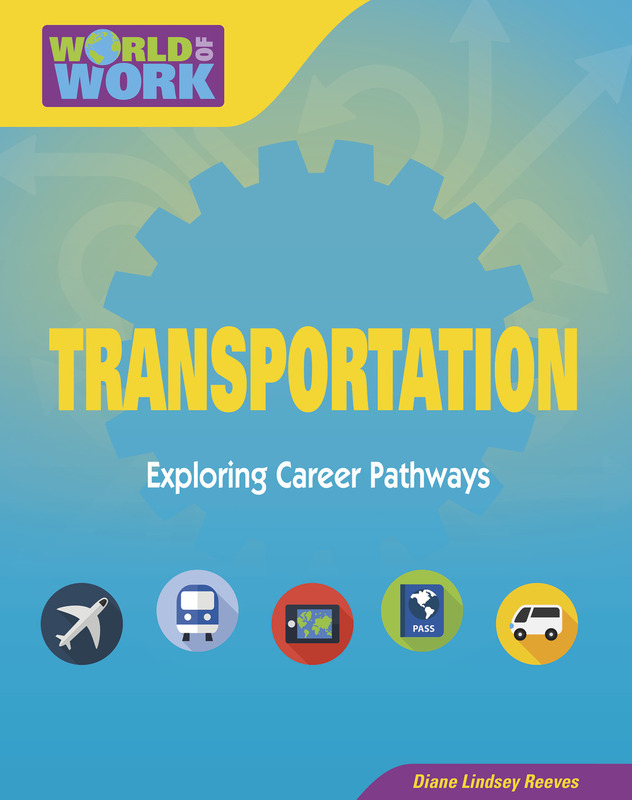 Transportation in the World of Work series provides an age-appropriate and interactive introduction to the nationally recognized Transportation, Distribution, and Logistics career pathway using informal self-assessment elements, career profiles, informative sidebar features, and back matter activities. The official series of the 2019 Take Our Daughters and Sons to Work celebration! World of Work provides an early introduction to the nationally recognized career pathways using age-appropriate language, high-energy graphics, 21st century skill-building activities, and relevant common core correlations.